The annoying customer isn’t just annoying with you. It’s a habit they can’t change so they’re annoying everywhere and everyone knows it. 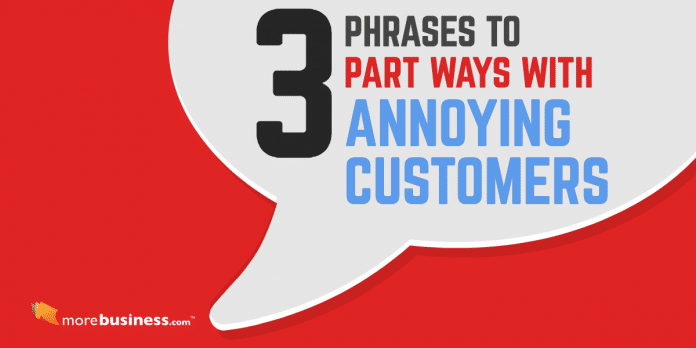 Here are 3 phrases you can use to part ways with annoying customers. There are many ways to fire a client who isn’t a fit with your business. Annoying customers cause problems with staff morale and can disrupt your business. If you have a customer that is scaring away other customers, you have to act immediately. Otherwise, word will spread about your business and its lack of attentiveness. I think we’re no longer a fit with what you’re looking for. I want you to have the best experience as a customer and unfortunately I don’t think we’re the right solution anymore. It looks like you’ve outgrown us. I realize you’ve got different needs now than when you started working with us. Since our primary market is based on those initial needs, I found a few firms for you that might be a better fit for the direction your business is in today. We’re seeing that you’ve got additional needs that are beyond the initial scope of what we discussed. We have a couple of options. We can upgrade you to our VIP level or we can help you find a company that’s a tighter fit with the level of support you really need. When annoying customers start costing you more than you make, getting rid of them is the smart financial move. You might even find that the most annoying customer is one who doesn’t pay you a lot of money. In all of the companies I’ve built, I noticed this trend. Customers who are constantly complaining are never satisfied. They create unreasonable demands for you and your staff. They are toxic. Get rid of them, even if it means losing some cash flow. When you add up the time and cost of your staff to service these toxic customers, you’ll notice that you are likely losing money on them, not breaking even or making a profit. 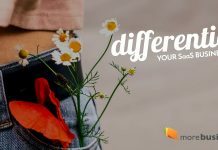 Your staff will spend an inordinate amount of time servicing the annoying customers, leaving less time and energy for your best, most profitable ones. The best customers tend to relish your products and services. They don’t give you headaches, they pay their bills on time and are typically courteous to your team. Use the 3 phrases above to shed annoying customers who are dragging you down. You’ll probably feel a lot better afterwards.